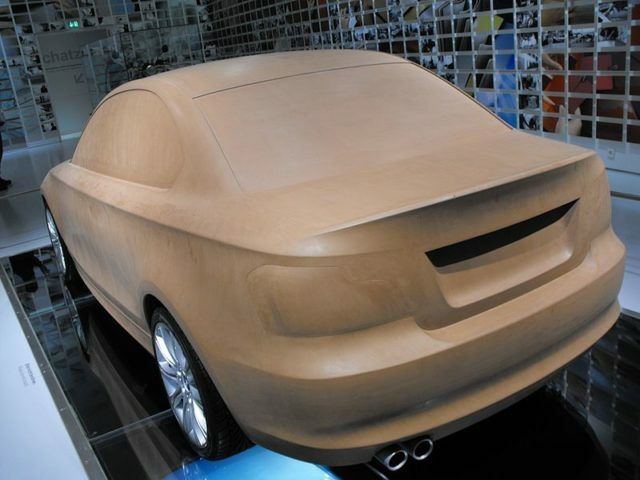 Plasticine was first created in 1897 in Bath, England by William Harbutt for his students who were studying sculpture and needed a non-drying clay. Its precise recipe is a secret, but it generally is composed of about 65% gypsum, 10% petroleum jelly, 10% lanolin and stearic acid, and 5% lime. It is a nontoxic product that is both sterile and malleable. It will not dry when exposed to air and melts when exposed to heat. A patent was issued in 1899, and in 1900, the product started being manufactured commercially. In 1915, another patent was issued because the formula had been altered with lamb’s wool so it could be used as ear plugs and as a sterile dressing in wound care. The substance’s first color was gray, but the product sold to the public was available in four colors. The Harbutt Company also produced modeling kits in association with characters that were popular with children at the time. 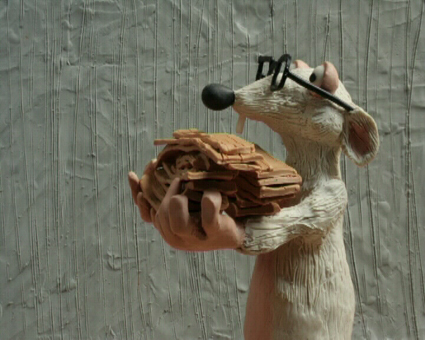 Until 1983, Plasticine was made in its inventor’s hometown of Bathampton but is now produced in Thailand. 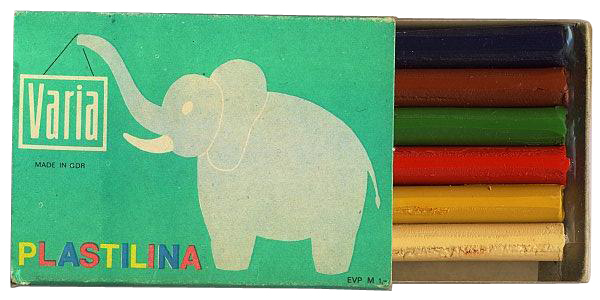 The Plasticine made by the American company Colorforms, though widely popular, was considered inferior in quality to British-made Plasticine due to the inclusion of a chalky substance in its production. From the 1980s to the 2000s, the British brand changed ownership many times, and it is now owned by the Flair Leisure Company in the UK. Plasticine is a popular product to use in clay animation, also known as claymation, a form of stop-motion animation using 3D models. 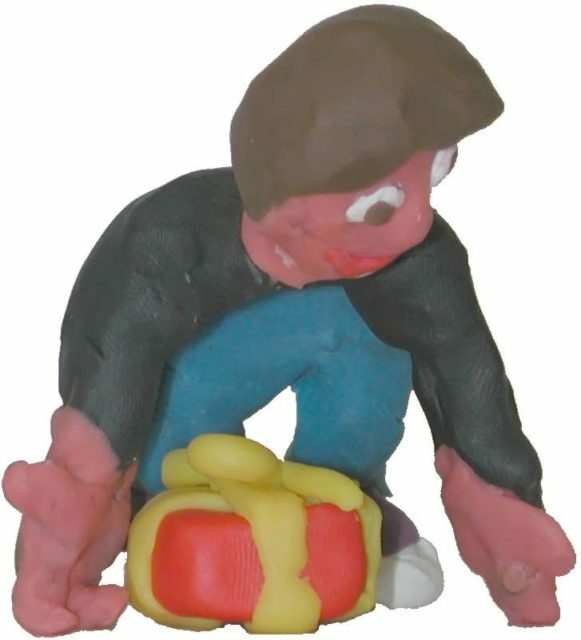 Plasticine is good for this as it’s both malleable and flexible; the characters can be moved in many ways. It works well with wire armature as it holds its form and doesn’t dry out between takes. Besides its use in film and schoolroom art projects, Plasticine is used in long-jump competitions to assist judges in seeing if the jumps are legal. The 10 cm indicator board from which the athlete leaps is edged with Plasticine; it is prepared this way so the marked board can be kept to one side in case of challenges, and this form of verification does not slow down the competition. 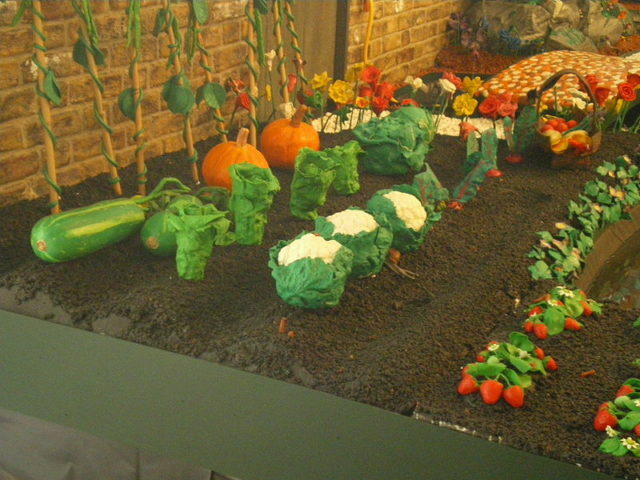 Plasticine has been used to make a stunning garden at the 2009 Chelsea Flower Show, and it was also used in World War II to assist in disarming German Type Y bomb fuses. It now comes in over 24 colors and is a popular toy as well as a practical tool.